Give some credit to those governments that want to slow the creation of a more responsible diamond industry. They’ve shown boldness and creativity. Instead of just complaining about the global system that is supposed to stop blood diamonds, they’ve undermined that system in a clever way: by leading it. It’s not a coincidence that the very governments that have turned a blind eye to violence and corruption in diamond mining have been placed in charge of the Kimberley Process (KP), the international certification scheme for diamonds. Every year, KP member countries choose a different government to serve as the rotating Chair. In 2014, the Chair was China, whose government has forged a shady partnership with Zimbabwe’s corrupt leadership to exploit the bloodstained Marange diamond fields. This year, the KP is led by Angola, a government that has awarded mining rights to an elite group of generals and political insiders. The companies they control use beatings and torture to ward off trespassers and demand bribes. And the queue of governments with bad records is still forming. They’ve literally lined up to take the top KP leadership spot. One of the world’s biggest havens for illegal diamond trading is Dubai, in the United Arab Emirates (UAE). Loose financial rules in Dubai allow companies to shield the true value of their diamonds from taxation, depriving African treasuries of billions of dollars in taxes. This is money that rightfully should be used for education and other development priorities, but instead it is going to politically connected elites. A background of this sort should disqualify the UAE from leading the KP. But diamond industry sources now predict that Dubai will take the helm of the KP in 2016. After that, it’s rumored that Zimbabwe, where army generals not long ago violently looted billions of dollars in diamonds, may vie for the top KP spot. The fact that countries such as the UAE and Zimbabwe are candidates for the position of KP Chair illustrates that the cost-benefit analysis for these countries is still not what we’d prefer. When Angola became KP Chair, we hoped that the move would backfire for the Angolan government by drawing attention to the violence and corruption that plagues Angola’s own diamond industry. The hypocrisy of leading the world’s blood diamond certification scheme, while producing blood diamonds, would be too much for the Angolan government to bear. It’s been remarkable, however, how much the Angolan government has disregarded international opinion during a year when you would think it would be on its best behavior. Earlier this year, the government put on trial for libel a journalist who wrote a book about torture and corruption in Angola’s diamond industry. The journalist, Rafael Marques de Morais, has won awards from Transparency International and the Index on Censorship for his fearlessness in telling the truth about Angola’s diamonds. NGOs rushed to Marques’s defense, demanding that the Angolan government drop the charges. A few jewelers, including Brilliant Earth, joined the effort. However, just when it looked like the government would drop its case, Marques was convicted and given a six-month suspended jail term. What should those who want to build a more responsible diamond trade make of the fact that the KP is now led by governments that want to keep mining standards low? It’s regrettable to see the KP falling into the hands of people who don’t want it to succeed. And it’s tempting to interpret Angola’s treatment of Marques as a sign that the push for more responsible jewelry will never be able to change the status quo. Still, we think it’s important not to be too discouraged. For one, it’s not as if countries such as Angola and the UAE, by leading the KP, are throwing a wrench in a system that works. The KP has never been effective at preventing violence and corruption in diamond mining. Leadership by countries that don’t prioritize social and environmental responsibility is regrettable mostly in the sense that it interferes with the goal of fixing a weak system. Further, the KP isn’t the only avenue for diamond industry reform. Plenty of change can and will happen through consumer pressure on retailers and on other companies up the supply chain, and if businesses in the industry use some of their profits to invest in a fairer deal for artisanal diamond diggers. Most of all, the rush of countries with poor records to lead the KP shows that the voices of consumers, NGOs, and responsible businesses can and do matter. If Angola’s government had no concerns about being confronted over its abuses, it wouldn’t bother to try to weaken the KP by leading it—and it would have slapped an even harsher sentence on Marques. For now, those who oppose a more socially and environmentally responsible diamond industry may win some tactical victories. But we take heart in the knowledge that, ultimately, the move toward a more responsible diamond industry will be tough to stop. I think they blood diamonds real I wish I can get one some day. Siddiqi and Sons of dubai mall are outright unethical and don’t honor BM warranties or ensure the diamonds don’t have the blood of children soaked all over then. I learned about the issue of conflict gems and recently, gold. And now I will not buy, nor will I allow my husband to buy for me, any jewelry that could be made by children or as a result of violence and oppression. Brilliant Earth diamonds, I found very interestingly compelling. They say diamond is closed to a woman’s heart, how can I know the difference in purchasing a blood diamond without these type of activities ! This is to raise awareness, and a major contributing factor, going against the ethics, was pointed out. It’s true and everyone knows it. No sense in going off topic, seek justification, or worse – demonstrating your disregard for the very effort of this article. Go sit in your ignorance, as long as it does not touch you, you have constructive to contribute to this discussion. They are diamonds, valuable, beautiful, hypnotizing, and memorizing, every quality that leads to greed, that is why there are blood diamonds. There isn’t anyone who could do it that wouldn’t be corrupt. Something that beautiful will always be controlled by evil people. People who want more money than they could ever spend if they tried. The pricing was created based not on rarity, they aren’t rare, that shouldn’t be expensive at all. Their price is based on beauty, something the world has always placed value on. If you are beautiful you are valuable. This is a world where people’s value system is shallow. The one who dies with the best toys wins, right? Thank u for sharing the efforts of following your diamonds travel routes and doing business with those who have a conscience about blood diamonds. I hope I can someday afford to buy a beautiful diamond and have no quandry in my mind as to whether or not it is a clean stone. A seriously stupid comment RayCy, why not equate clothing made by couturiers, any luxury article of clothing really, from underwear and handmade shoes to men’s tailor made suites? all merchandise sold today is primarily to enhance one’s appearance, cosmetic or otherwise for both men and women…….are you jealousy, maybe? You appear to criticize women for loving to wear diamonds, I don’t, I applaud them and I wear those I can afford and will be delighted to hand them down to my daughter, daughters-in-law and my only granddaughter! Remember that gem quality diamonds only have value because shallow foolish, people who are primarily female, value them only for their cosmetic effect. Hi J. Smith, Brilliant Earth begins by carefully selecting the countries and mines that will supply our diamonds. 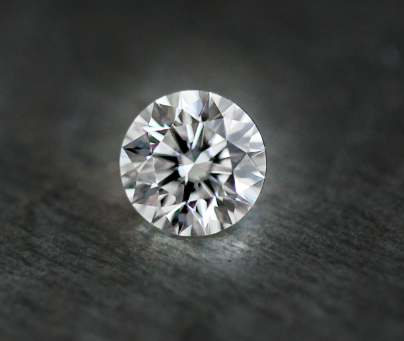 We then track our diamonds as they are cut, polished, and transported to ensure that our supply chain is not corrupted by diamonds with violent or unethical histories. Learn more about our Beyond Conflict Free Guarantee here: http://www.brilliantearth.com/why-buy-from-brilliant-earth/. How can I know if I bought a Blood Diamond , is there anyway to know I bought a beautiful one caret certified stone.